X marks the exact location. “A” indicates Alchemy, “B” is for Blacksmithing, “C” for Clothing, “E” for Enchanting, “J” for Jewelry Crafting, and “W” for Woodworking. Feel free to share or download our Rift survey report map, but please leave the credits up. Thanks! To find out more about crafting writs and survey maps check out our guide here. 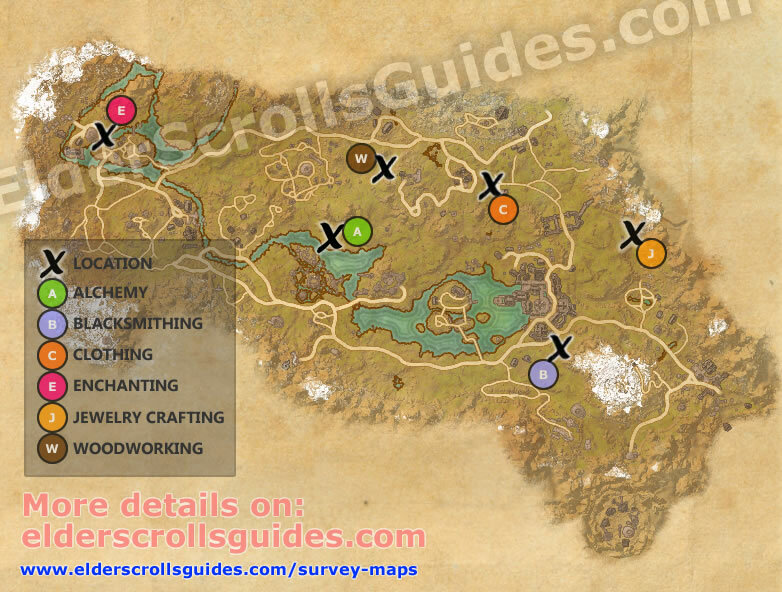 Jewelry survey in the rift is at 80.33×42.05 at the cliff base.